Greeting friends! 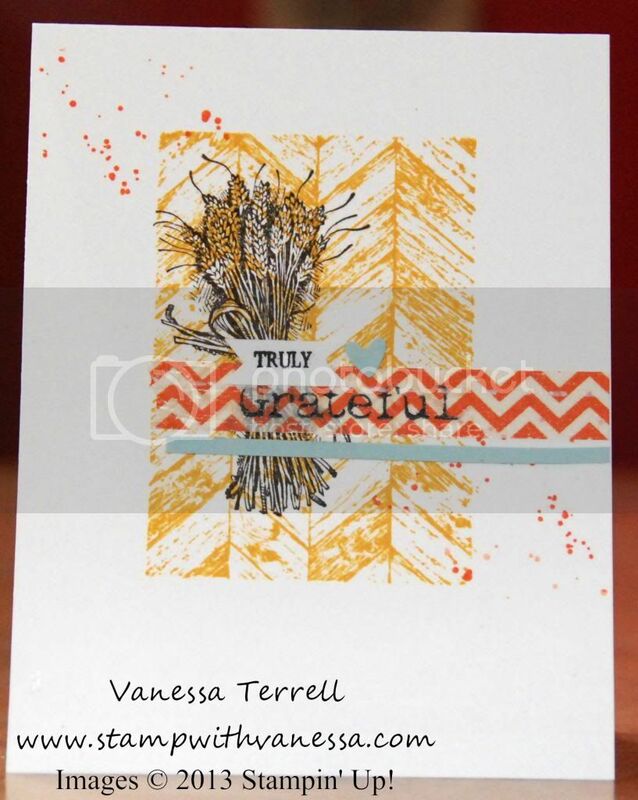 I have a quick card for you today made with the Truly Grateful stamp set! I hope you're not tired of seeing holiday type cards...but that's where we're headed. I'll try to throw something else in the mix soon...I promise! 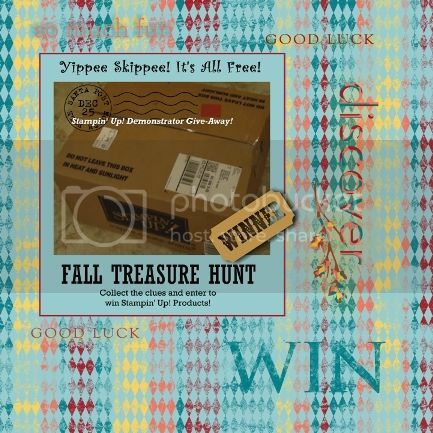 I actually cased this card from Stampin' Up! The card is featured in our Holiday Mini (if you're ever stuck for ideas...just look around you, you just never know where you might get your inspiration from). I did do a few things differently from their card...they used a sewing machine...I don't sew! Instead I used our new Chalk Marker to create faux stitching. If you like Washi Tape...Stampin' Up! announce a 1-Day special on the following Washi Tape while supplies last. The sale price will come up when you check out.